The Grand Duchy of Luxembourg is located in the heart of Western Europe between Belgium, Germany and France. 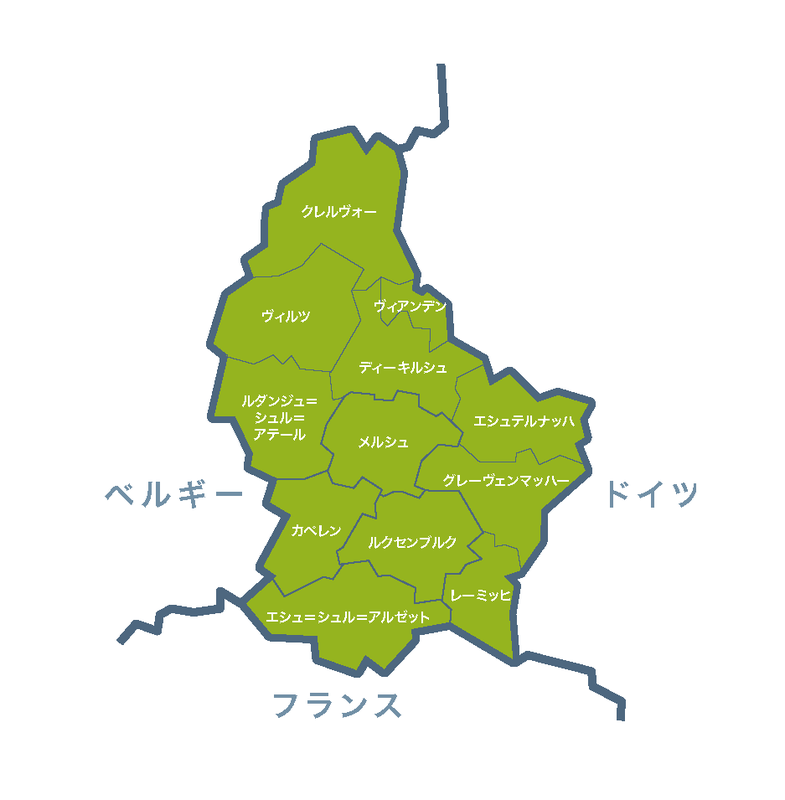 It has two natural regions: the Oesling in the north and the Gutland, comprising the Moselle valley in the east and the mineral basin in the south. Variegated landscape is one of the biggest attraction of Luxembourg. The linguistic situation in Luxembourg is characterised by the use and legal recognition of three languages: Lëtzebuergesch, French and German. Multilingualism has deep roots in the everyday life of the country and permeates every level of society. 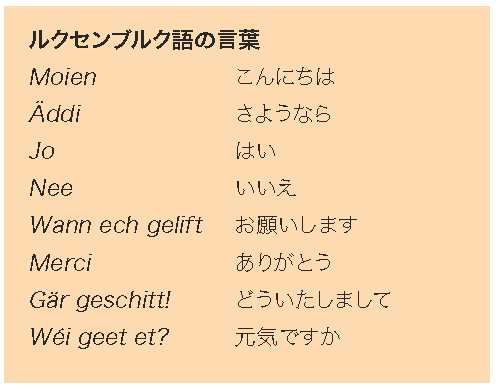 In general, Lëtzebuergesch – the national language – is the most widely spoken language at work, at school and/or at home. Portuguese is in second place, reflecting Luxembourg’s large Portuguese- speaking community, followed by French and German. The linguistic situation is more nuanced, however, depending on context. Public life would be unthinkable without the coexistence and even the simultaneous use of several languages, with variations according to location and activity. Since the working population is mostly made up of foreign residents and French, Belgian and German cross-border commuters, French is the main medium of communication, followed by Lëtzebuergesch, German, English and Portuguese. French is used particularly in trade, hotels, restaurants and cafes, mainly in the capital and surrounding area. The north of the country is the exception to the rule as it is the only region where Lëtzebuergesch is more widespread than French. English is the lingua franca of the large internation- al community working in European institutions and staff in the banking and industrial sectors. Because the community of Portuguese immigrants is so large, they often use their mother tongue in the workplace as well as during their leisure time. The Grand Duchy of Luxembourg, a sovereign and independent state since the Treaty of London of 19 April 1839, is a parliamentary democracy within the framework of a constitutional monarchy, in which the crown is passed down through the Nassau family. As in all parliamentary democracies, the separation of powers is flexible in Luxembourg: there are many links between the legislative and executive powers. Only the judicial power is totally independent. The name Luxembourg (Lucilinburhuc) first appears around 963 in a deed of barter in which Count Siegfried acquired from the abbey of St Maximin of Trier a small fort situated on a rocky outcrop dominating the Alzette valley, commonly called the Bock. The first known flag was carried by Count William of Luxembourg in 1123. It was barred, i.e. horizontally striped, probably yellow and red. The current Luxembourg flag is made up of three horizontal bands of red, white and sky blue. The Luxembourg flag bears a close resemblance to the flag of the Netherlands, but the latter has a distinctive cobalt blue stripe. The origins of the state of Luxembourg’s coat of arms date back to the Middle Ages. It was established in around 1235 by Count Henry V of Luxembourg. The coat of arms of the Grand Duchy of Luxembourg has three levels: lesser, middle and greater. It is barry of ten argent and azure with a lion rampant gules, crowned, armed and langued in gold with a forked tail crossed in saltire. The coat of arms has enjoyed legal protection under the law on national emblems of 23 June 1972, amended and supplemented by the law of 27 July 1993. The Luxembourg flag and state coat of arms are protected by the law on national emblems of 23 June 1972. The custom of celebrating the anniversary of the birth of the sovereign has existed since the late 18th century. During the long reign of Grand Duchess Charlotte (1919-1964), this celebration took place in mid-winter on 23 January, the date of the sovereign’s birthday. A grand-ducal decree of 23 December 1961 set the date of the public celebration of the sovereign’s birthday and therefore that of national day as 23 June, largely for climatic reasons. Celebrations begin the evening before. Luxembourg owes its prosperity to the discovery of iron ore in the south of the country in the 1840s. This discovery gave its name to a whole region, Minett (from “minette”, the designation for iron ore in the Lorraine, France), and marked the transition from an agrarian to an industrial state. The early days of industry in Luxembourg, dating back to the middle of the 19th century, were dominated by steel production, which enjoyed con- siderable growth from 1950 onwards. During this period, Luxembourg also developed its financial sector. Luxembourg has experienced strong population growth since industrialisation began in around 1870. This can largely be explained by steady immigration since the late 19th century. In 1910, Luxembourg recorded 260,000 inhabitants; by January 2014, the population had risen to 549,700, having more than doubled in the space of a century.